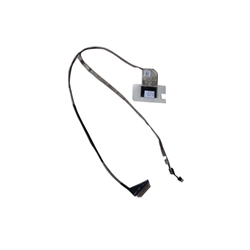 Description: New genuine Acer replacement laptop lvds edp lcd video cable. For the models listed below there is more than one lcd cable. Please make sure that you are ordering the correct one. Part #'s: 50.M03N2.005, Q5WV1_LED-EDP, DC02001I410. Acer Aspire V3 (V3-551), (V3-551G), (V3-571), (V3-571G).